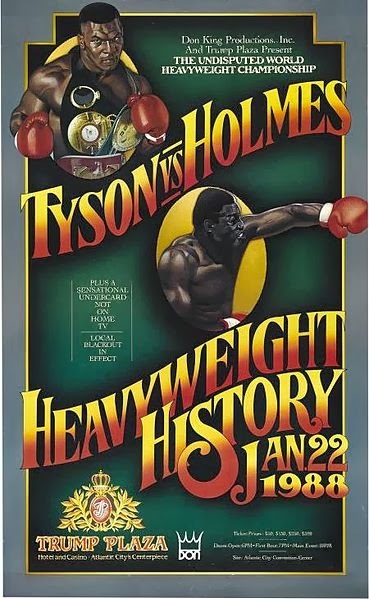 26 years ago today, 21 year old Mike Tyson (32-0) faced Larry Holmes (48-2) who was 38 yrs old and had retired from boxing for 2 years. This was for the WBA, WBC and IBF Heavyweight Championships. This was the 2nd largest age difference in Heavyweight Title fight history!